Posted by fliere on Thursday, January 10, 2019 in Events, News. 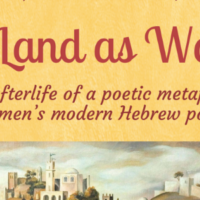 The Program in Jewish Studies is proud to present Art is My Weapon, a performance/lecture from David Shneer of the University of Colorado and singer Jewlia Eisenberg. 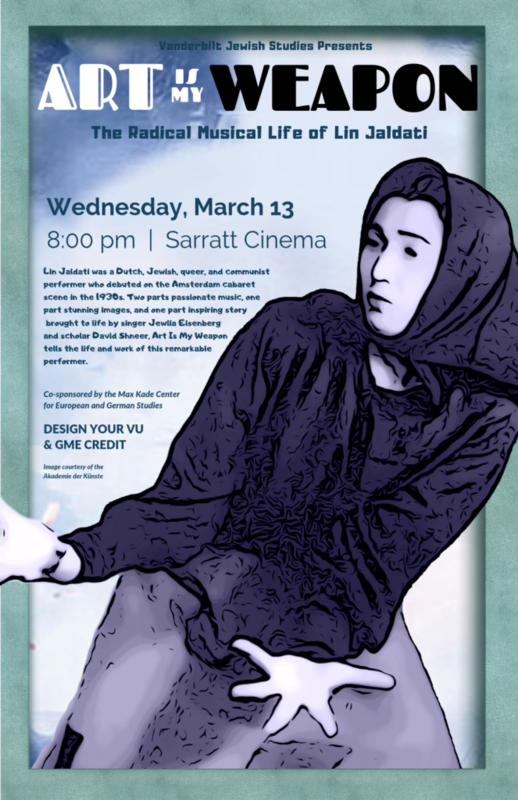 The event will take place on Wednesday, March 13 at 8pm in the Sarratt Cinema on Vanderbilt’s campus. Free parking is available on the fourth floor of the Wesley Garage on 21st Ave S.
Lin Jaldati was a Dutch, Jewish, queer, and communist performer who debuted on the Amsterdam cabaret scene in the 1930s. Two parts passionate music, one part stunning images, and one part inspiring story brought to life by singer Jewlia Eisenberg and scholar David Shneer, Art Is My Weapon tells the life and work of this remarkable performer.